Gowin studied under photographer Harry Callahan, who became one of his mentors and greatest influences. Gowin was initially made famous by his intimate portraits of his wife and family in Virginia. 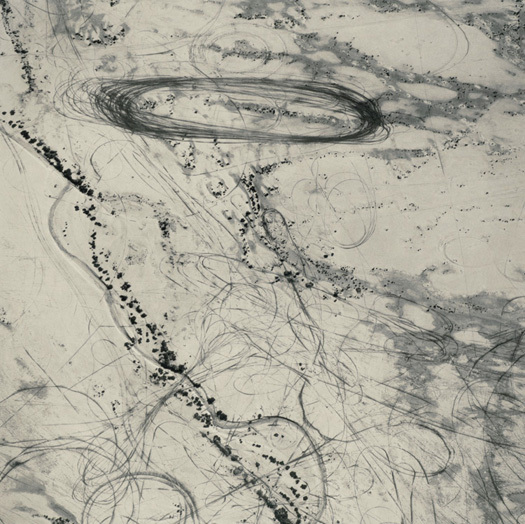 Over the last twenty year, he has expanded the scope of his subjects, depicting the devastation and beauty of Mt St Helens, the haunting emptiness of Petra, and most recently, aerial scenes of man’s impact on the environment. 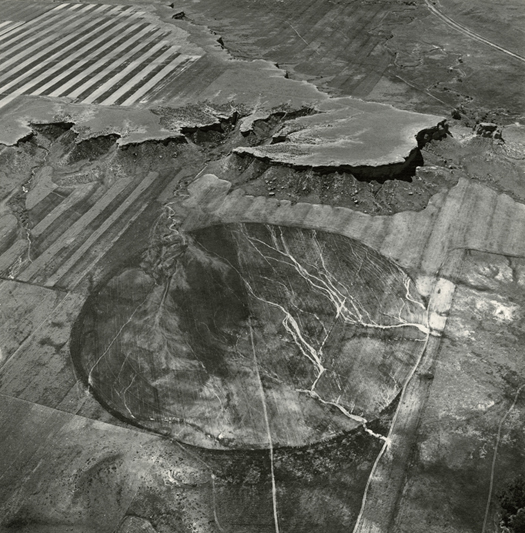 This exhibition consists of aerial views of the earth’s surface. 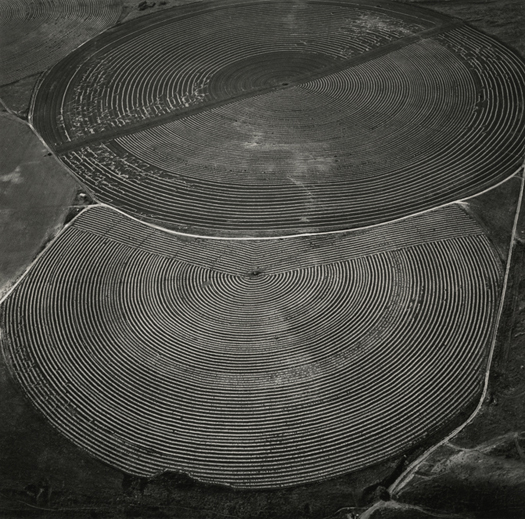 Photographed in the United States, Mexico, Czechoslovakia, Asia and the Middle East, they document the physical impact of pivot irrigation, military weapons testing, natural resource mining and more. Like the work of his contemporaries Richard Misrach and Edward Burtynsky, Gowin's photographs study the landscape and man’s complex relationship to it. 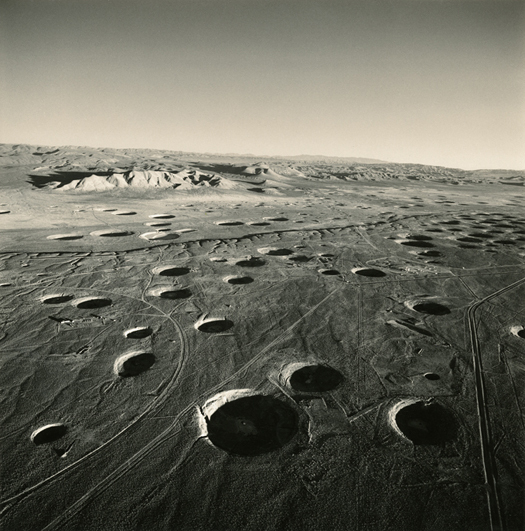 His richly hand-toned silver gelatin prints have been characterized as “immorally gorgeous.” Even his most alarming views of the earth’s disturbed surface appear as starkly beautiful black and white compositions of light and form that invite long and lingering contemplation. 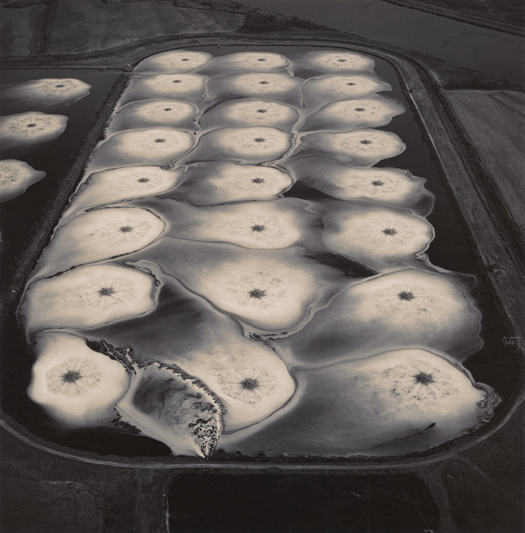 Ever since Nadar brought his camera up in a balloon in 1858, aerial photography has broadened our vision and changed our perspective—not only visually but socially, politically, scientifically — on the earth we inhabit. 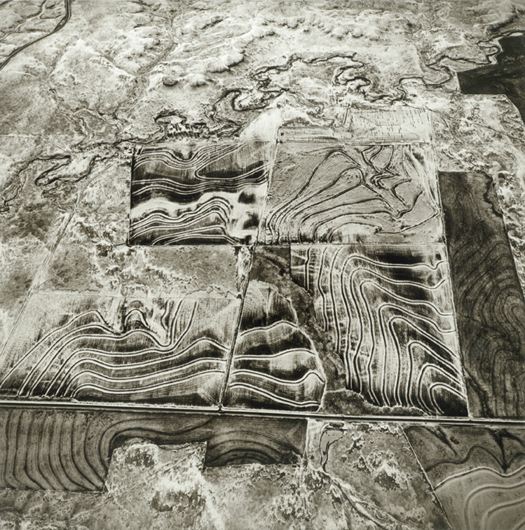 In recent years, David Maisel and Michael Light have also made extraordinary aerial work akin to Gowin’s in its concentration on our impact upon the land — the drawing, sculpting, tracing, and especially scarring marks of our presence and demands. Gowin has taught at Princeton for more than 30 years and been a profound influence in the field (Maisel being one of his indebted students). With the aerial work, he prints small but thinks huge, the images a perfect marriage between intimacy and intensity. 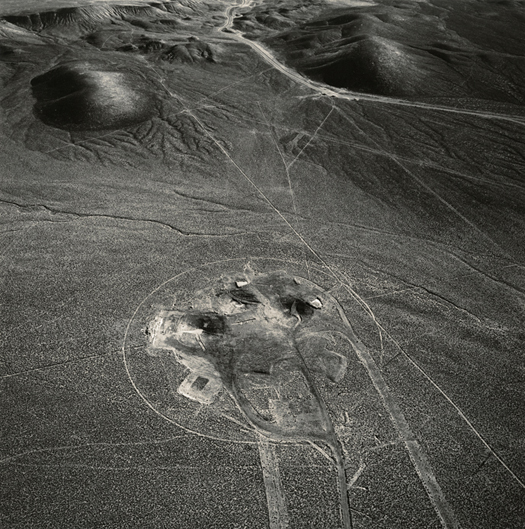 Reductive, expansive, wise and questioning, these are not just photographs but tough, reverential little poems, compact philosophies and ethical inquiries, evidentiary documents and experiential reveries.